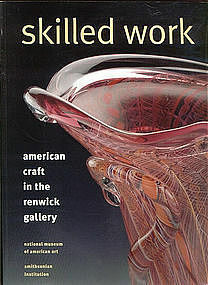 This catalog reflects the work by craftsmen putting together the Rewick Gallery in Washington D.C. As part, but not connected to, the Smithsonian Institution, The Renwick Gallery at the Old Corcoran Gallery of Art. This book also contains pictures of some of America's finest art objects. Media mail.